This book sees the clash of two worlds, the corporate business world which cares only for money vs the small community who will do anything to protect their pocket of untouched beauty. Only, it isn't quite as simple as that. Mike Dormer heads on over to Silver Bay with the view of procuring the land for a business plan. He isn't quite prepared for the pocket of the world he lands in nor the people he meets: Kathleen, Liza and Hannah. The tight-knit community, untouched beauty, and a group of people who will do anything to protect the whales that call their shores home. With his plans hidden, he immerses himself into the community, earning their favour and finding the sort of friendship and love he had never known. But the community holds secrets that nobody could have imagined and how will they react when they learn of the intentions behind his stay. Overall I really enjoyed the story progression, the story line made sense but also had a suitable number of twists and turns. I understood the purpose of the first half, setting the scene and all that, but it was just too slow and almost left me abandoning the book. Having enjoyed many a JoJo Moyes book before, I was reluctant to leave this unfinished so persevered. I'm glad I did as I found the second half to be significantly better. Whilst in hindsight it is tempting to say the story line was predictable, I would be lying if I said some of the twists and turns didn't catch me by surprise. There was an abundance of likable and equally unlikable characters. A good book needs both and this certainly did. Mike seemed like a nice guy stuck between doing what was right and what was expected of him. I enjoyed watching as he grew as a character and the delights of Silver Bay began to effect him. Kathleen, Liza and Hannah, three generations of one family were pleasingly different. It was refreshing to have three strong female characters with varying personalities. Liza was at times irritating but surely any good character should be. I have grown tired of books that show their characters to be perfect and I found the characters in this book to be suitably normal. I liked the multiple narratives. With the nature of the story and the secrets being hidden, it was nice to catch a glimpse into everyone's head. If it had had only one narrative voice then the story would have been as risk from being very one dimensional. Usually I find multiple narratives to be either unnecessary or confusing, this was neither and a good example of how it should be done. Not the best, but by no means bad! 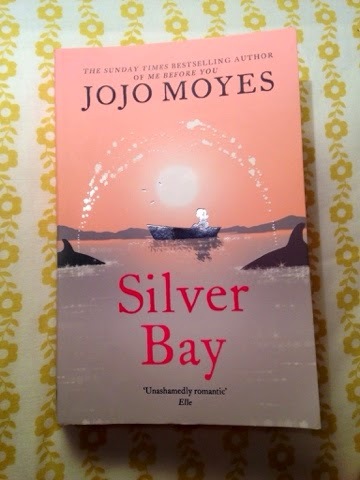 I have always enjoyed reading JoJo Moyes' books and when I say that this was not my favourite, that is in no way a criticism, it just falls a tad short of my incredibly high expectations. Despite some reservations, I would recommend this book and I would most certainly recommend you check out some of JoJo Moyes' other books, I'm sure they won't disappoint.